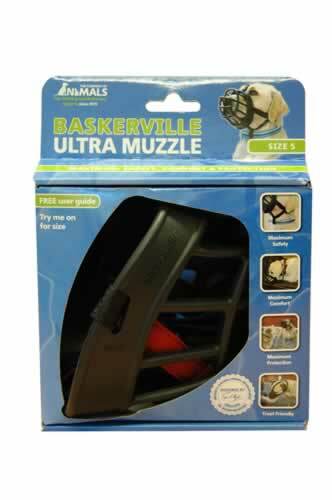 The Baskerville Ultra Muzzle is designed to combine maximum safety with comfort for your dog. The material is extremely tough and durable, yet malleable and soft to touch. 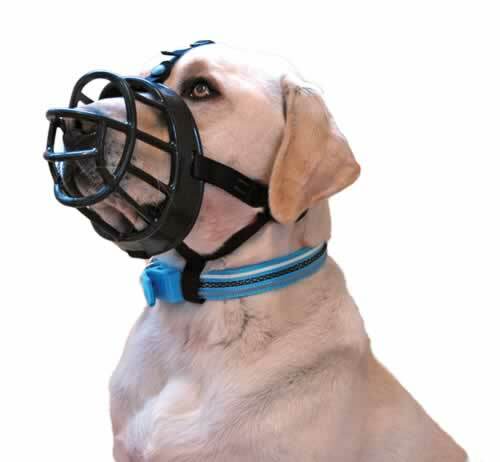 Safety strapping ensures the muzzle will always remain securely in place and features two additional points of secure attachment. 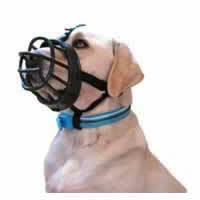 A secure loop attaches to your dogs collar and an overhead strap connects directly to the rear strap of the muzzle. 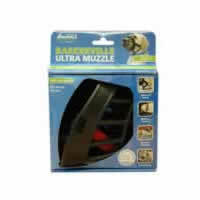 Soft neoprene padding for extra comfort and the muzzle still allows your dog to pant, drink and take dog treats.